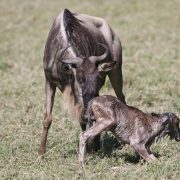 This is our typical Wildebeests Calving Safari in Northern Tanzania including a visit to the Ndutu Plains in south of the Serengeti National Park. 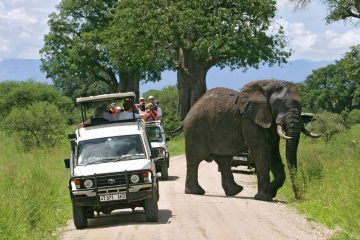 The package takes 8 days in Tanzania including the the arrival day and we have included the Tarangire National Park and the Ngorongoro Crater in order to give you a variety but also to breakdown the driving into manageable distances. 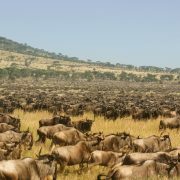 Every year between November and December the Wildebeests Migration herds after returning to Serengeti from the Masai Mara, cross the Central Serengeti and cross over to Ndutu plains an area that is considered South Serengeti but administratively under The Ngorongoro Conservation Area for their calving season. This breeding season in the Ndutu plains goes on for a period between December through the month of March. 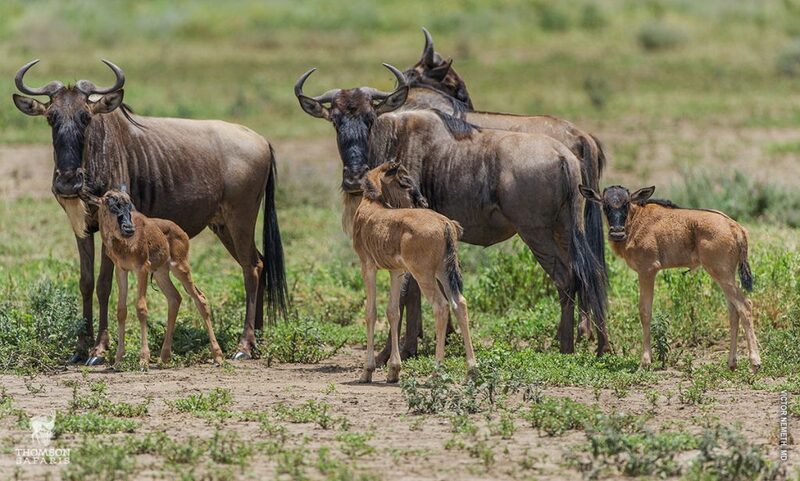 The breeding and calving season sees literally tens of thousands of young wildebeests foals born by the end of the season with hundreds if not thousands born daily. The calving season sees the area buzzing with wildlife activity as many other animals, the predators and scavengers alike engage in a rare feast of easily attainable placentas and poor young ones that stray from their mothers. Many other big game animals follow the migration herds making Ndutu a place to be. For this calving season in Southern Serengeti in Tanzania we customize safaris that include Ndutu, for both camping and lodging calving safaris. There is only one real ‘lodge’ there; and that is the Ndutu Safari Lodge which is also famous for its free roaming spotted genet cats. Recent years has seen the establishment of quite a few permanent tented camps, both standard luxury and the up market / deluxe camps, as well as a few mid range tented camps and semi-luxury places that you can stay in as you enjoy your Wildebeests Migration Calving safari in Tanzania. We have a selection of many seasonal camps also that we deal with for the calving season safari. 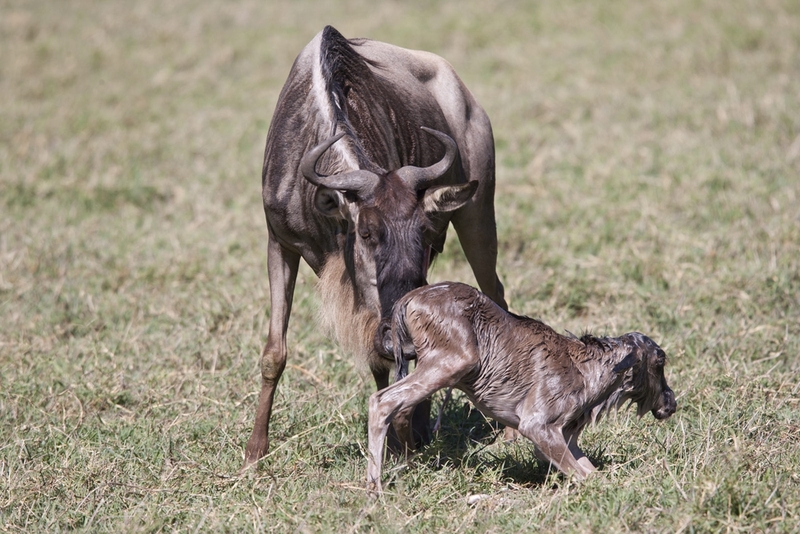 On the next tab is our sample safari for the Wildebeest Calving Safari Migration for the year 2018 – 2019. We are already taking bookings for the next calving season safaris in Tanzania for dates starting December 2018 to March 2019. Coming in other months during the year? 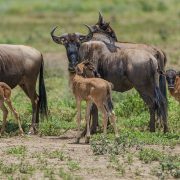 please sample our 6 days Wildebeests migration safari special offer. This day is set aside for your arrival into Tanzania and our representative meets you on arrival at Kilimanjaro International Airport. He or she will transfer you to your lodge around Arusha either Ilboru Safari Lodge or at Planet Lodge in Arusha town. Your dinner is included. Breakfast at the lodge, or Camp early this morning and we are off to Ndutu plains for the migration safari in Southern Serengeti. We will have a brief stop at the Loduare Main Gate before entering the Ngorongoro Conservation Area, an another brief stop to take pictures and get some stunning views over the Ngorongoro Crater floor. 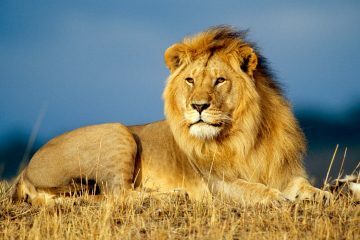 We will then drive further to Lake Ndutu area where the action takes place during the months of December through March. Picnic will be served and the afternoon will be spent doing game drives until later in the afternoon time to check in at the lodge or camp for dinner and overnight. 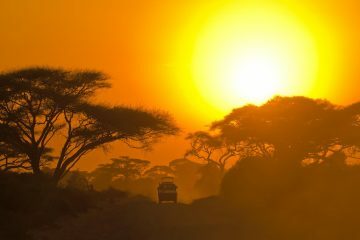 Overnight at Ndutu Safari Lodge or Serengeti Savannah Ndutu Camp. All meals included. Other camps also available depending on your budget and preference. Breakfast at your lodge then you will drive back to Arusha where your safari ends. At Arusha you can be dropped at The Arusha Airport for a flight to Zanzibar or transferred to Kilimanjaro International Airport for departure. -We can arrange a flight for you to Zanzibar as well as the transfers and accommodation at the Island of Zanzibar. -Depending on number of persons coming with you by sending us an email or give us a call. 01 x HB at Ilboru Safari Lodge (or similar), Arusha.